Home IT Outsourcing What are F&B technology trends in 2019? Technology is changing the way we live, communicate, and even people around us, then food and beverage is no exception. 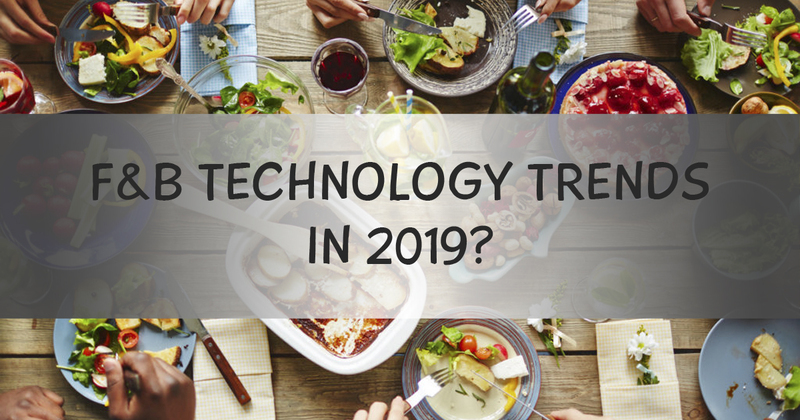 As the start of 2019, it is a good time for getting the idea of some modern technologies as trends to make F&B business develop and gain more success. With the support of technological infrastructure in logistics and distribution, Food and Beverage companies nowadays can send directly their foods to end-users without hiring any middle man, which can be called as D2C distribution. By applying D2C, a business owner can optimize their costs, bring big advantages to both producers and end users. A lot of sugar may have bad effects to your health, and when the living standard improves, people tend to pay more to protecting and improving health, that is why the less sugar technology was born. By changing the product lineups, the sugar in food may be reduced and still kept in good condition, which is predicted to become a popular trend in the near future. Pop-up is a kind of marketing method which is used to quickly attract customers, and this year, it will be the trends again. Why don’t we use this method to show to customers what we are providing, how delicious a food is or what promotion campaign is running now? Therefore, it may boost customers to click and order food in some seconds. This trend can be easily experienced via Amazon case study, Amazon promotes voice commerce but there are still not much users. There are about 25% Americans owning Alexa, but only 2% of these smart speakers are used for shopping. However, because it is a new trend, let see its development process, and expect it to become a new trend in the near future. 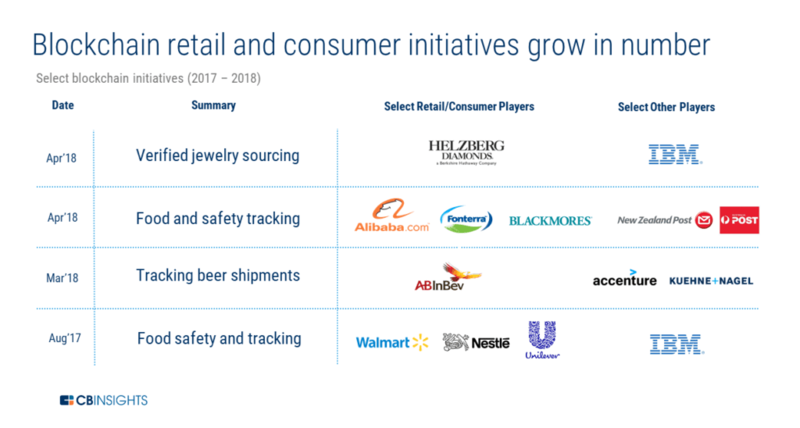 The requirements of high safety food and beverage boost many companies toward blockchain- based supply chains to make sure the transparency and build trust from customers. For instantly, Walmart announces to the user that they us the block-chain system from 2019. As the industry leaders, blockchain- based is expected to expand in the food industry this year. Robots is becoming new trend in every industry, not only F&B. Robots become increasingly dominant when it is possible to correctly and efficiently perform tasks as well as help to save HR cost. In 2019, inventory management robots are expected to invest more than robots to support customers. Right from the start, IoT packaging can help business owner collect customers’ information and behaviors, then create the trends and demand to meet their needs. As the cost for IoT packaging takes a large amount of budget, the frontrunners cannot maintain the application for a long time. However, as the living standard improves, customers’ requirements also enhance, and we can absolutely believe IoT packaging can be one of the top trends in F&B technology this year. E-commerce, a new trend in every business, essentially when the number of smartphone owners increases quickly nowadays, each person may own more than one smartphone, which shows that e-commerce will still be the trend in the next few years. Also, to make shipping more efficient, many companies have to invest in preparing a new packaging design. Then both e-commerce and new optimized packages are a trend this year. Personalization or customization is the inevitable trend due to the living standard is improved, almost people want to create their owned mark, differentiate from other people. With the emerging of technology, many technical tools as online surveys, advertising, customers online behaviour analysis, big data… can help business owners better understand consumers demands. As a result, machine learning can suggest the suitable products for customers while automated factories can improve production process. When talking about technology in F&B business, service is one of the most important factors which affects customers’ experience, then, it will never be the old-fashioned trend. In this 2019, many modern technologies are predicted to be hot trends as touch screen kiosks and tablets, online ordering system, online delivery service, or integrated online payment method…., which focused on bringing the best experience to consumers. Many Food and Beverage companies nowadays outsource the most suitable software development company to create their own mobile application to better serve and approach their customers. The best food service owners are always catch up the new trends around and always find the way to apply them their own. Of course, not all trends can be applied, which bases on the business, target customers, and culture. However, getting knowledge about a new trend will suggest you – a business owner the new way to keep the loyal customers and attract the new one.